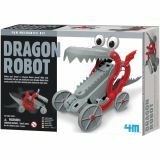 Bring this fantastic creature to life through mechanical engineering. Requires 2AA batteries and cross head screwdriver (not included). 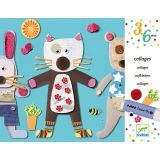 Large corrugated cardboard pieces and fun accessories for tiny hands to create 4 simple paintings full of affection. Very thick cardboard stick-on pieces for easy grip. Organized seperately into small envelopes so as not to get mixed up. Each is 11.5" x 9". Ages 3-6 years. 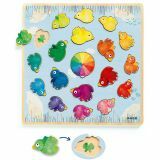 Place the animals from the smallest to the largest in this gorgeous wooden puzzle. The raised animal pieces create an exquisite color wheel. 11.8" x 11.8". Ages 3+. Snuggle up in this large, comfortable fuzzy unicorn-themed inflatable chair. It's awesome for lounging around and the perfect addition to any room! 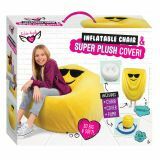 Includes inflatable chair, foot pump and unicorn chair cover. This 3D twisty mechanical puzzle begs to be picked up, and may be impossible to put down! 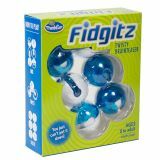 The one-piece brainteaser twists and turns in a unique fluid motion that will mesmerize players for hours on end. Try to get one side all blue and the other all white. This clever five-position seat with an adjustable strap is sized right for both kids and adults. This clever five-position seat with an adjustable strap is sized right for both kids and adults . 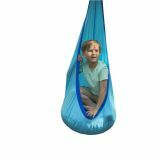 Hugglepod hanging Chair made of light weight nylon is snuggly, dream, creative, comfy, and portable for moving from room to room - or tree to tree! Lite Blue color. This instant film printer is all the rage! 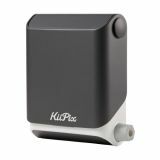 Instantly prints the photo displayed on your smartphone for easy scrapbooking, decorating, or swapping. Film not included. No batteries required. A beginners guide to stop-motion animation. 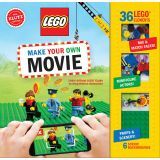 Use your phone, tablet, or computer to make short, funny clips with these instructions, background settings and 36 LEGO elements. Then, dive into more advanced skills, such as lighting, sound effects, and camera angles. 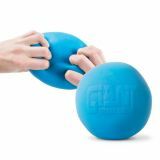 Trust Klutz to guide you to fun and learning!